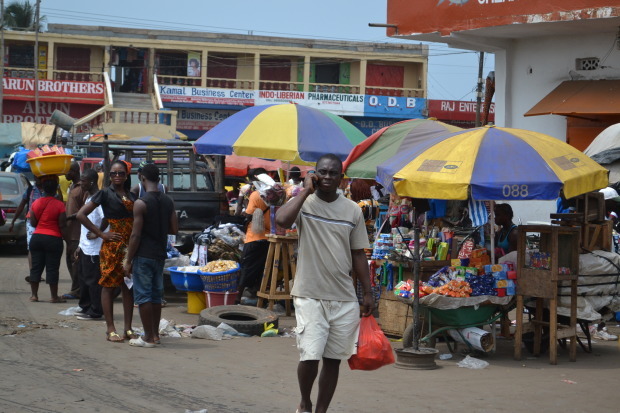 Monrovia, the capital of Liberia (photo by R.Akum). When under review, a constitution (the supreme law of the land) reveals issues of collective angst within the land. In Liberia, the process to review the 1986 constitution began in 2012. The de jure ramifications of constitutional reviews, especially in postwar environments, are self-evident in the formalization of the governing law. However, its de facto implications alter lives, social relationships and power dynamics within states. In the Liberian case, the constitutional review process is as important as its eventual outcome. A look at the process, however, exposes fault lines on issues of citizenship, secularism, political term limits and land rights (in relation to mineral resources). The process also shows the active participation of local communities in a predominantly internationally-funded and nationally-driven postwar state-building exercise. The ongoing constitutional review process is the second since Liberia became a Republic on July 26, 1847. The first review, under the chairmanship of Dr. Amos Sawyer, produced the 1986 Constitution. This had sought to roll back “˜settler’ privilege and (on paper) – enshrine fundamental human rights protections for all Liberians; provide a legal framework for multiparty politics; extend the presidential term in office from two to six years (limited to two consecutive terms); and senators and representatives were given nine and six year office terms respectively (with no term limits for these positions). It enfranchised all Liberian voters, beyond the 1847 constitution, which had given the right to suffrage exclusively to “every male citizen, of twenty-one years of age, possessing real estate”. The civil service, elections and general auditing commissions also trace their origins to the 1986 constitution. However, the 1986 constitution was not without controversy. Held under the oppressive auspices of a military-turned-civilian government, it provided blanket exoneration from prosecution to all Samuel K. Doe’s associates of the People’s Redemption Council (PRC). The PRC had staged the bloody coup of 1980 ousting the democratically elected government of William R. Tolbert. Its Chapter IX also enshrined a provision for the invocation and use of emergency powers. Despite the changes effected by the 1986 constitution, the symbols of the nation remained the same – the motto, seal, and flag. These symbols harked back to the ‘mission civilisatrice’ of the American Colonization Society towards the indigenous peoples and their lands. Not even the late President William V.S. Tubman’s 1964 National Unification Policy, which extended county status to Liberia’s hinterlands, had allayed settler-indigenous tensions. Tubman died in office in 1971, before he could realize his vision of social justice for all Liberians was realized. Under the 1986 constitution, Liberia underwent two civil wars spanning 14 years (1989-2003). After a Governance and Economic Management Assistance Program (GEMAP) transitional process, which effectively brought Liberia under international trusteeship, a truth and reconciliation process, which had truth but little accountability and reconciliation, two postwar presidential elections and three postwar legislative elections, the voices of the Liberian people remain muffled in the shadows of elite politics. In the absence of accurate polling, it has been an arduous endeavor, trying to make sense of what Liberians want. Elections have often offered choices between expediency and patronage. Electoral campaigns have predominantly been about individuals, seldom about issues or party platforms. However, a colourful prism of Liberian voices is emerging within the ongoing constitutional review process. Preoccupation with citizenship, secularism, term limits for public officials (and the devolution of local participation in the election of their local village, district and county) and land rights is rife. Voices have billowed through radio talk shows, suggestion boxes, local level meetings and focus-group discussions in all of Liberia’s 73 electoral districts and the diaspora. The preoccupations expose deep mistrust of ongoing postwar governance arrangements. Key among those concerns is the question of dual citizenship. Dual citizenship is a serious issue in a country where asymmetric “˜settler’-“˜indigenous’ dynamics shaped power, opportunity and livelihood outcomes from 1821-1980 and beyond. Identity still matters. What matters even more, is the end to which identity is used. For many Liberians living in Liberia, accepting dual citizenship is akin to letting the fox into the chicken coop. Dual citizenship presents a flight risk as individuals who might commit crimes in Liberia could escape prosecution behind hybrid citizenship. While the aversion to dual citizenship seems entirely based on hypotheticals, when the issue is raised in Liberia, the infamous Ellen Cockrum Corruption Case segues into most analyses. In June 2014, the Government of Liberia filed for the extradition of Ellen Cockrum (a dual American and Liberian citizen), the former Managing Director of Roberts International Airport, from the United States of America, for economic crimes. This is an extremely complicated case, which allegedly involves the following: kickbacks on a potential US$130 million contract; audiotapes implicating currently serving high-level government officials (who hold singular Liberia citizenship and yet seem above prosecution); and which has been adjudicated in the court of public opinion. The 1986 constitution does not explicitly proscribe a Liberian-born citizen from acquiring a second citizenship – not especially as a result of displacement due to civil war (though it leaves room for an implicit proscriptive interpretation). So while the Liberian diaspora stands almost united for dual citizenship, within Liberia, it is not a popular position given the way Liberians at home have lived the experience of power and privilege flowing to returning dual citizens. The issue of secularism has also emerged as a critical issue in the constitutional review process. According to the 2008 census, Liberia denominationally is 85.6% Christian, 12.2% Muslim and 2.2% ‘traditional’ religions, atheistic and other. However, the push to debate the enshrinement of Liberia as a Christian state is as steeped in Liberia’s foundational history as it is in the economic history of the Liberian civil war and the failure of the truth and reconciliation commission to push for meaningful accountability and promote reconciliation among Liberia’s social groups. Liberians are not alien to the Islamic radicalization across the African Sahel from Mali to Somalia. Historically, Liberia’s northern tip bordering Guinea did not escape the commercializing and occupying influence of Samory Toure’s conquests in the 1880s. The emergence of the Mandingos as a formidable commercial and trading bloc through history and its imbrication with different political actors expanded their economic clout across Liberia. Meanwhile, Christian missionary groups have also historically partnered with the Liberian state to provide basic social services – education, health care, potable water and spiritual counselling. Christian missionary groups have effectively become a social safety net. Other than for Liberian Citizens, ownership of “˜real property’ is protected in both 1847 and 1986 constitutions for “non-citizen missionary, educational and other benevolent institutions…as long as that property is used for the purposes for which acquired.” While religious or ethnic identities are not static, the push to have Liberia become a Christian state stems from social mistrust which postwar transitional processes have been unable to allay. Like other African states, discussions around term limits have also taken centre stage in this review process. The call to reduce presidential term limits to four years (renewable once), senatorial terms to six years and the term for representatives to four years also reflects mistrust of political actors. Added to the term limits, Liberians are hoping to wrest from the president the authority to decide on their local paramount chiefs, mayors and superintendents. There is effectively a missing link in the participatory process when citizens can elect their city council members, but then the President nominates city mayors, district commissioners and county superintendents. There is top-down resource allocation, use and accountability implications embedded with these appointments and therein also lies part of the problem. Appointed officials serve at the pleasure of the president – negative nuance when compared to service of the community. However, for an emerging postwar country just past its first decade of transition, there are even harder public finance questions that ought to be answered relating to the procedure and organization of local elections. However, that is beyond the purview of the constitutional review process. Finally, the question of land rights, and by extension, mineral use and allocation have been pivotal in these discussions. Minerals became a cornerstone in the financing of the Liberian civil war and the postwar informal economy. Land rights and mineral extraction rights often overlap. Liberia signed onto the Kimberley process in 2007. The Liberian Extractive Industries Transparency Initiative (LEITI), approved in 2009, has also sought to involve community-based actors in ensuring that Liberians benefit from their natural resource endowments. However, all these safeguards came after some concession-lucrative deals had been handed out under dubious circumstances. Neither did they stop the cloud of suspicion from covering the recent sale of four offshore blocks (LB-6, LB-7, LB-16, LB-17). The history of land expropriation for presidential estates, rubber and palm oil plantations and rice paddy fields still dot Liberia’s topography. The secrecy surrounding the US$900 million deal between the Government of Liberia and Mittal Steel in 2006 did not allay the concerns of advocates for the embedding of social development components within extractive industry lease deals. For every concession agreement, there is explicit agreement that local community members’ voices be included in the decision-making process and that companies doing business in those communities are socially responsible. In practice however, the marginalization of local dwellers has resulted into episodes of violent demonstration by local dwellers at companies, such as, Sime Darby, Arcelor Mittal, and Liberia Agriculture Company. The Liberian people want an individualized treatment of the land and mineral question. Simply put – if you own the land, then you ought to get a share of the mineral wealth underneath it. This would reshape article 22 (b) of the 1986 constitution, which states that property rights shall not extend to any mineral resources on or beneath any lands, under the seas and other waterways of the Republic. While the constitutional review process might not necessarily allay the mistrust, which continues to pervade state-society relations in Liberia, it certainly has provided a forum for Liberians to express themselves on issues relating to how they envision their country. It might very well be a necessary step in shaping a socially resilient environment within which individuals realize that their voices and opinions matter in community building, which itself is a building block for a resilient state. Transformation is a slow process. Liberia’s motto – “the love of liberty brought us here” might capture the narrative of the arriving members of the American Colonization Society. However, the love of liberty is also evident in the ongoing constitutional review process. That love of liberty could move Liberia beyond the personalization of politics, towards genuine reconciliation, rebuilding of trust in government and shared benefits from its natural resource endowments. However, as Liberia tries to strengthen its nascent democracy the chasms being created by the ongoing constitutional review process risk nurturing polarities which rationalize violence. Richard Akum is a PhD candidate at the School of Oriental and African Studies, London. Mainlehwon Vonhm is a PhD Researcher in International Education at George Mason University. The 1847 constitution was suspended after the 1980 coup by the Peoples’ Redemption Council brought Samuel K. Doe to power. By 1960 the right to vote had been extended to indigenous communities although a restrictive property ownership clause was upheld. The ACS was established to encourage the resettlement of freed slaves in Africa’s west coast. The ACS forced the sale of land by “indigenous” local chiefs in order to establish settler communities. The comment that “Tubman died in office in 1971, before he could realize his vision of social justice for all Liberians was realized” seems rather spurious as he held the Presidency for more than a quarter of a century. Also, I believe for almost the entirety of the 20th century, Liberian Presidents served a term of at least four years, not the two referenced here.